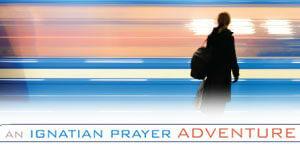 Many parishes start a new year of faith formation this month. For dotMagis readers involved in parish ministry, we highlight these Ignatian-inspired resources for catechesis. This video, prepared for all those who participate in the V Encuentro process, is available in English and in Spanish. Perfect for older students, adult faith formation opportunities, or your own continued learning, Ignatian Spirituality: An Introduction provides a concise, visual way to learn about this practical spirituality for everyday life. A parish minister suggests a fun way to introduce children to the Examen. Jim Manney recognizes that St. Ignatius’s style offers lessons for parish leaders. These links are all from another Loyola Press website, Catechist’s Journey. The Finding God: Our Response to God’s Gifts program from Loyola Press is rooted in Ignatian spirituality.